How much would 250ft weigh and how do you ship it? 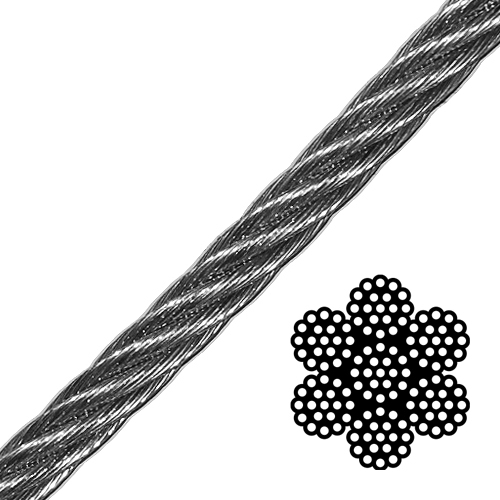 This wire rope weighs about 0.46 lbs/ft. With packaging, 250ft would weigh approximately 123 lbs. This would ship either UPS Ground or by Freight Truck LTL depending on the total weight of the order, assuming other items might be ordered together with the cable. The max weight for UPS Ground is 150 lbs including packaging.